I know lots of you out there have started putting together your album foundations for December Daily. I'd like to try and answer any questions you might have at this point in the process (knowing that some of you haven't started yet and some may already have albums all put together). Feel free to leave questions here and I'll answer them in a new compilation post later this week. For a full list of 2010 December Daily posts click here. 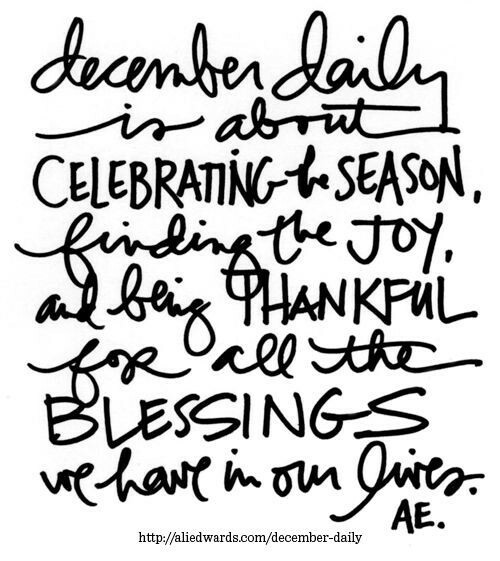 December Daily® 2014 | Let's Begin! Hi Ali, You've used lots of transparencies this year. Is the plan to make them identical front and back? I just struggle with using transparencies as album inset pages unless I plan to mirror image them sandwiching the transparency in the middle, mostly for the pics cause I don't like the backsides showing. i'd also like to know what you're going to do with the overlays...i started to put my DD together & don't think i'll be using any because I have trouble with overlays too! Can't wait for seeing the Q&A, even though I have no question by now. 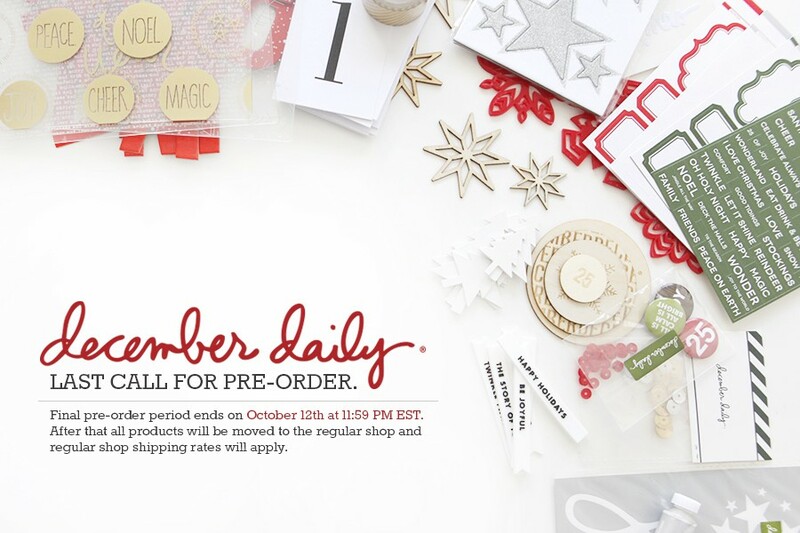 Go www.etsy.com and search for "December Daily album" lots came up. Hopefully you can find something you like. Are you going to insert any extra pages in your album as you go? Specifically I'm wondering if you'll be using any of the December Daily digital templates that you've released in the past. And if so, have you thought about how you'll do that? This is something I'm thinking about doing since I think I'll need more space to document the "what we're doing" of each day and journaling. Do you have any 6x8 sized templates in the works? Thanks for the inspiration to start my 1st December Daily project!! Me too -happy birthday to both of you, and me!!! Do you keep track of ideas/inspiration for finishing the page that come to you as you make your foundation pages? How do you remember these things? For example, if you have the vision to put a picture in a specific spot while creating the foundation page, do you mark it somehow so that you will remember it when you come back to it in December? I think I remember seeing you put post-it notes on pages last year - do you have any other tips? Or do you let it go and let the creative process re-inspire you once December rolls around? Have you decided what will go on the back of the daily journal pages? Do you plan to have a cover page at the begining of the book to explain anything? What a great birthday present. Most of the time we need something personal like time off or time together instead of "things." 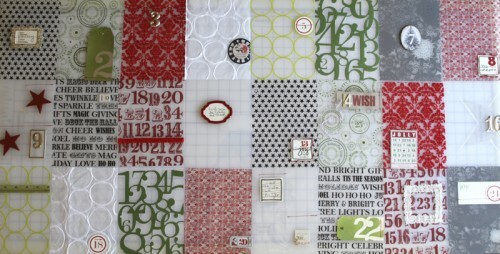 I am also using the KI Memories numbers "lace" in my album, but how do you plan to include that in the binding? Since the numbers are so random I am afraid it won't line up right to get the jump rings through it. Perhaps a little strip of cardstock mounted to the back just wide enough for the rings? Totally butting in here, but just wanted to let you know that in her Walk Thru video, Ali showed that she adhered the "lace" cut-out paper to a Hambly Clear Screen that she cut down to 6x8. Another idea: I actually just sewed a cut-down-to-size (6x8) plastic 8.5x11 sheet protector to slip the KI lace numbers into. I sewed one new side and then sewed along side the "plastic stitching" that was originally along the bottom and spine side of the page protector. I trimmed off the original spine side edge that housed the ring holes and just punched new holes into the sheet protector. A more readily accessible and more affordable option than the Hambly option. Another option: Use a plain transparency from an office supply store and adhere the KI lace to it for support. Butting in as well, but just thought that I'd add that I used a spray adhesive to adhere the number paper to the Hambly transparency. My word of advice is that it only takes a little bit -- on my first one I think I sprayed on more than I needed to. A quick spray will apply enough to make it stick. I was unable to find the clear transparencies, so I cut four squares of the lace numbers and put them into baseball card pockets. I cut the sheets down to four squares, punched new holes and placed them in the book. I also did this with squares of leftover transparencies for pages where I ran out of full sized-ones. I can pull those out and put something else in if I decide to later. Do you have any advice for making sure you add something every day? This is my first year doing this, but as a college student that has finals in the middle of December, I'm really worried about adding things every day. A few days just might say "STUDYING." But I know this is about marking the mundane as well. So I guess another question is about how to make the mundane "fit in" with the exciting "Christmas Stuff"
How about your class schedule showing finals schedule? Or the package from the "No-Doze" you take to stay up and cram? It's my first DD year, too, and I'm writing ideas now so I can remember to document them when the time comes. or perhaps a picture of you books, or coffee cup, or you school r backpack? I also like the idea of the schedule. of you under some Christmas decorations studying, etc. I'll second (or 3rd) the idea of including your schedule. Other ideas: a tuition bill, blue book, your final paper... Take a photo of your favorite place to study -- why do you like going there? Even the "mundane" today will be fun to look at years from now -- do you have a favorite route to class/shoes/winter coat/outside of your apt/neighbors/bouncer/technology, etc. (I'm totally dating myself but wish I had a pic of our giant answering machine and landline right now! LOL!). I am now living in the same city where I went to college and some of our favorite hangouts have been remodeled or demolished ... wish I had a few wide shots of some of these places, inside & out, for comparison. - The coffee cup picture is a good one. I also wanted a picture of the menu of my favorite coffee shop near campus. I love when they put the holiday flavors on the board! - Lastly, I wanted a picture of all the DVDs I wanted to watch once I was finished with exams and could relax. I knew that this could be done any day because I wanted to journal about all the things that I wanted to get done - not what I actually got done. 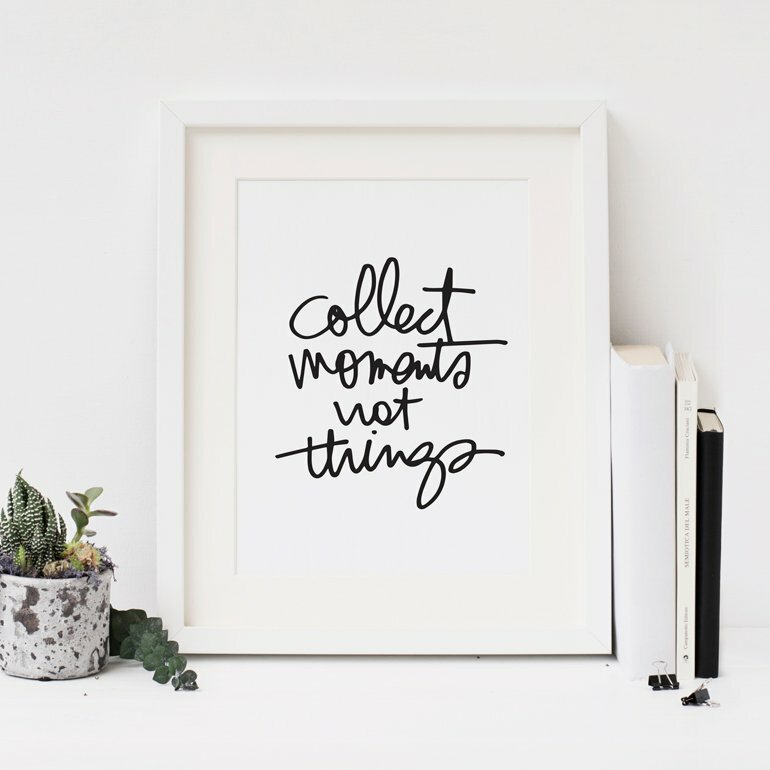 I think documenting your plans and then seeing what actually happens can be just as informative and memorable as documenting your daily activities! I didn't end up doing my Dec Daily last year due to some unforeseeable circumstances on the first few days of the month. I'm excited to use these same ideas this year! Last year alot of myplans got scuppered by illness so I have a photo of baby nurofen in there which records all the parties we missed, teething and croup all in one photo. I also have a photo of my husbands briefcase for his last day at work before the holidays, a positive pregnancy test, our backyard under snow and on days where there were no photos, I recorded a Christmas memory, fav Christmas poem, song etc. Hope that helps with some ideas. I know in some of your other albums you have inserted tags, receipts, and school papers. Will they be part of this album? Hey Ali, thanks for sharing your concept. I'm new at paper crafting and love the concept. I also Love the transparencies for your foundation pages but I could not find anything comparable in my local scrapbooking supply shops - not too many in my neck of the woods. I'd love to know where you got yours, were they preprinted? If not, how did you print on them? finally, what adhesive do you use to adhere things to them? On my end, I improvised with my current project, using the thick transparent binder dividers I picked up in a office supply store, which I cut down to size. It works but doesn't have the same artistic look and feel. Thanks for responding. Just wanted to let you know that I also enjoyed Ali's transparencies and bought most of mine online at www.scrapbook.com and I also picked some up at Michael's. Hope that helps. I have my chipboard cover (the red one you sampled for us) and have purchased my Daily templates that I'll be printing on white Bazzill. I'll be downloading them as PDF pages. Can I type into those if they are PDF? (I don't really use PSE for scrapbooking) so I rely on other ways to get my scrapbooking created. I'm curious about the transparencies. I really like the look of them. You mentioned getting them at an office supply store. Do you buy them plain - or printed? I've looked all over for things like that, & am a little confused about the process. I'm not into the digital aspect too much - that may be my problem? Help. Thanks for giving us a chance to ask questions and to help us get our albums together. I have all my supplies just can't seem to find a album. The LS stores nearby don't have anything special so might have to drive out to Archivers to look. I would really like to make something homemade if I could though, any ideas? Also on the days you have the baseball card protectors are you making a note ahead of time to take extra pictures that day to fill in all that space? I'm worried my pictures won't work. Do you use every picture on that specific day or do you mix them up a little to make it work in the album? Thanks again for all you do. I used cut-down chip board, too, then covered it in paper that's similar to Ali's white cover. It's going to be too cool. I made my own chipboard cover too. I used chipboard as well and decorated my cover to look like a front door. I punched out some green from an evergreen punch and arranged it in a circle and then used Ali's "25" circle in the center. I used a 7 Gypsies cranberry crystal door handle as well. Very happy with how it turned out. If you want to see it, you can check out my blog (which has sadly been neglected lately) where I have posted a picture of it. Not sure how to do a link here, so my blog address is terriporter.typepad.com. Do you guys know that you can use non-scrapbooking chipboard, like cereal boxes? If you're covering them with paint or paper, you don't have to be too worried about the acidity, etc. When I want a heavier cover I use recycled cardboard like the USPS prior mailboxes (thank you Daisy Diva Anja!). I made my own chipboard cover too--and use jump rings. You could also layer felt and stitch around the edges. Anything goes! I found a green book at my local Goodwill. I ripped out the pages and then cut the spine out. I punched holes with my cropadile for the ring binders. The cover is very study and I love the worn book look in a Christmasy cover. Do you have any plans for an actual digital album for those of us who are digital--sort of like the one you made for Week in The Life? Loved that one, bought it, and would be super excited if there was a December one too! Do you stress about the mixing of patterns and colors? Do you try and keep it all in the same tone on purpose? I have a tough time mixing up the colors and patterns. I try and push my design envelope, so I was curious if there was a way that you could help me out with the mindset of not having to have everything totally 100% match/coordinate throughout the album. Also, having done the binder rings and an album, I prefer the album approach. Do you have a preference between the two options? Thanks for taking the time for us! On a similar note, do you keep a specific "style" in mind to stick to throughout, or do you intentionally mix it up? Or not care too much about it? What do you do on the days that you have not done something Christmasy? Have you ever tried to print your own transparencies? I used to do it all the time in my corporate job when preparing presentations. Could even print in colour. But, of course, the transparencies were probably quite a bit thinner than the versions you are using. The challenge for me is that I had a color laser printer at work but only have a color ink-jet at home. The ink-jet ink never dries on the commercial transparencies, it just smears off. I guess you could spray it with fixative, if you have that around. 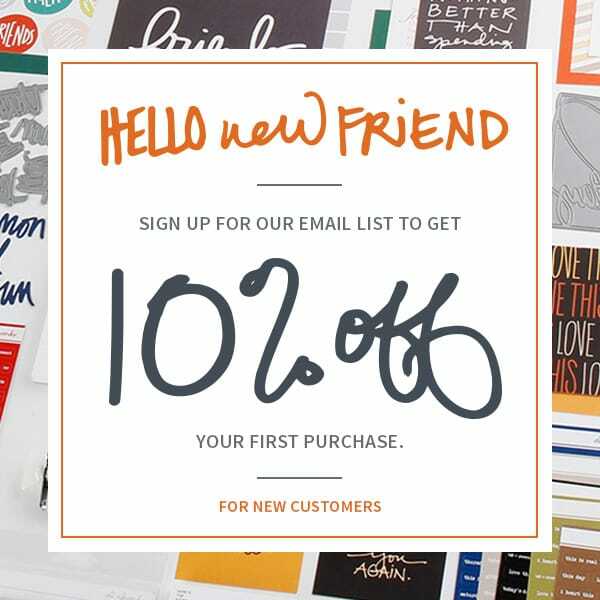 Hi Jeni I got some inkjet transperancies from an office supply store to print at home and they are amazing. They are thinner then the other transperancies but they have a smooth side and a rough side. They also have a strip up the top that tells you which side to print on (from memory it is the rough side) If you print them on the correct side the ink shouldn't smear off. I have also tried the laser print ones at work and they work well too. Hope this helps! Yes, I too have used transparencies from my local office supply store and they do work. I think they are a bit lighter in weight than the Name Brand scrapbook ones though-but I don't mind because it allows me more creative freedom to customize my own transparency! There is definitely a "right" side and a "Wrong" side to print on! Hi! I made my own transparencies by just using staz on ink and stamps on a clear transparency. They came out fairly well for my 1st try. My question: is there a list of possible activities for December? I don't want my 2010 DD to be similar to last year. I want to include variety of pictures and activities, but I don't always have enough ideas for every day. I just love the idea of making a copy of your DD for a long-distance loved one so that they can be a part of your life -- totally brought tears to my eyes when I read that. Thanks so much for sharing. what a great idea,did you do it identical to yur one that you kept? I've always used purchased albums. I prefer 3-ring binders such as We-R-Memories. I'm curious, why you use self-made albums. I'm assuming that it has to do with bulk. I guess that simple step is the only thing holding me back. Is it as sturdy? Will it survive lots of handling? Etc.? I have done two DD albums in the past, and they both (as well as my one for this year) are bound with rings the way Ali's are. What I like about creating my own album rather than using a purchased one is that I can decide what size I want it to be, both in height and width as well as thickness. Have lots of stuff?, just get bigger rings. As far as being handled, mine are put out every holiday season and have stood up well. Don't let this little detail hold you back. My DD albums are among my favorites. My question is for all of you. Do you have a blog or facebook page that you can share what you are making? I know Ali does a flicker account but I like to actually see more details than just a picture. If you do can you please share it? I have posted at Ali's December Daily flickr site in the past, but I also post on my blog and then link that to Facebook. (That way I or someone else can provide more details/Q&A's than just photos of the project. I've seen others post at Two Peas in A Bucket and other scrapbooking sites where there are galleries and forums. Hi Terri, In answer to Dawn's question above about covers, I included the website of my blog to show what I am doing for my cover. You can also check out my December Daily from last year. My blog address is terriporter.typepad.com. Last year, I wanted to do a 6x12 album and just used chipboard for the covers and back-to-back cardstock or printed cardstock for the pages and bound it with rings. My DD this year will pretty much follow Ali's except for a few modifications and my cover. I agree, it always helps (especially if you're doing this project for the first time) to see what other people are doing. After reviewing your 2010 December Daily templates, I was having trouble visualizing how you plan to add/attach your journaling to your hybrid project. Are you going to insert your templates directly into your printer and print on your already prepared pages? If so, please explain how you set up your printer to print on nonstandard size pages. Or, are you going to print your journaling on other paper, trim it,and then attach it to your template or transparent pages? This is my first year doing the Dec Daily...to say I am a newbie is not even coming close. What is the best way to determine where I should be punching my holes for the rings....I bought the templates from DD...I have a feeling I might thinking too hard!! Ali, like Liz I'm wondering about hole placement. Did you have a measurement posted somewhere I missed? This is my first year too. I'm starting to put things together, have my pages and overlays cut but don't know about hole placement? Also, what size rings, I have what I think are 1 1/2. Do I need larger? The pages already look thick. I was wondering about the holes as well, as I noticed on Ali's that the holes are punched through the photo and I'm not sure I would like that, or would rather have a margin. Hi Ali, Thank you! I enjoy your blog! I did DD for the first time last year. I just finished it last month! Partly that was because I found you doing it in Dec and started then with creating the foundation and doing pages at the same time so that I was way behind by the end of Dec but I gathered photos and ephemera as I went along so I could finish it later. The other partly was because you make it look so easy! ;) This year my foundation is going to be much simpler. I'm going to use only 4x6 photos. I am using your daily templates and page size of 6x8 but I used PSE and pushed the left side of the template in so that the ring holes are outside the rectangle and the rectangle is now a good frame for a 4x6 photo. I've got to make it quick to put together so I can finish in Dec this year! My question is about the back of the template page. Are you thinking the back goes with the date on the front or the date on the next page? Thanks! This is fun!